When Eliza Doyle’s car broke down in Nashville in 2015, she found herself happily stuck in Music City. The venerable banjo player and singer/songwriter from Saskatchewan had stopped in to see a festival and ended up enjoying an extended stay, playing in bars and meeting all manner of talented musicians. Having been on sabbatical to follow her muse anyway, it seemed like fate urging her to keep on the well-worn path to musical fulfillment. On her new album It Ain’t What It Seems Doyle’s strong, but wonderfully frayed voice belts out captivating tunes and harmonies. She has the versatility to go from beautiful and melodious songs, to a full on boot stompin’ party scene. 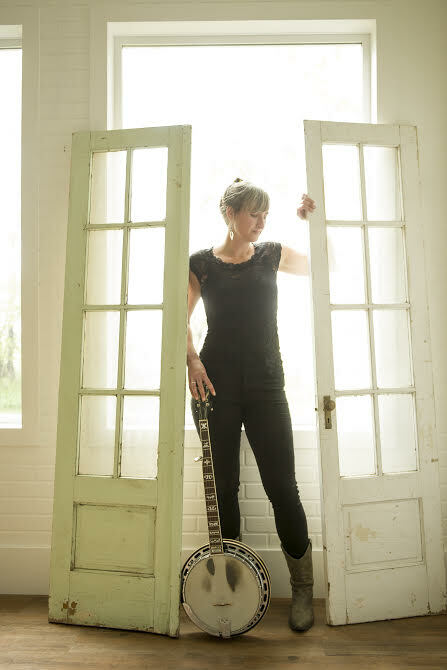 With her charismatic high energy performance, combined with outstanding claw hammer banjo, everything about Eliza Doyle’s music rings of an authenticity that takes you straight to the beating heart of folk and bluegrass music.